Democrats are meeting in secret, behind closed doors this summer to discuss fundamental changes to the way education is funded in Illinois. As parents and taxpayers, we should be worried — very worried. History has shown that lame duck sessions are notoriously dangerous for taxpayers. Are these secret meetings a prelude to higher taxes during the upcoming lame duck session? We are told the basis for discussion by Democrats is Senate Bill 16. Introduced last spring, the bill would shift revenues among school districts and weaken local control. It was never called for a vote in the House and changes to the bill by Democrats will likely look much different. While I appreciate the Senate sponsor’s good intentions and his willingness to take on this issue, his proposal gives to some school districts by taking away from others. If our goal is to provide every student in Illinois with the best possible education, we must strive to build up districts in need without tearing down those who are already doing a good job. 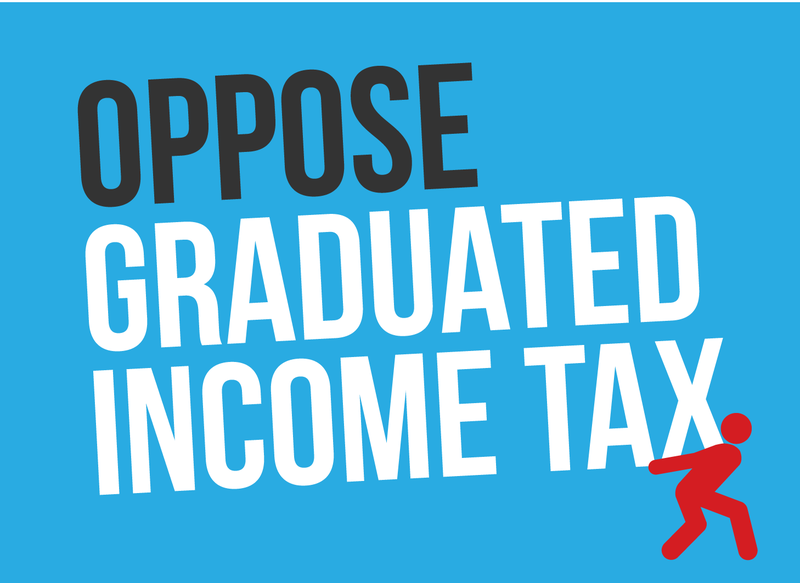 As written, Senate Bill 16 does not provide fair and equitable funding across-the-board. It simply picks new winners and losers. Among the losers would be many suburban and larger downstate school districts whose property taxpayers are already footing a larger share of the bill. 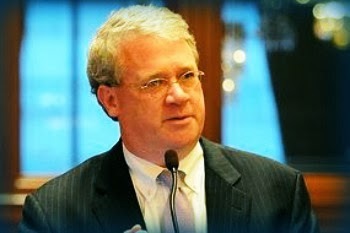 Read the entire guest column by House Minority Leader Jim Durkin in the Daily Herald. 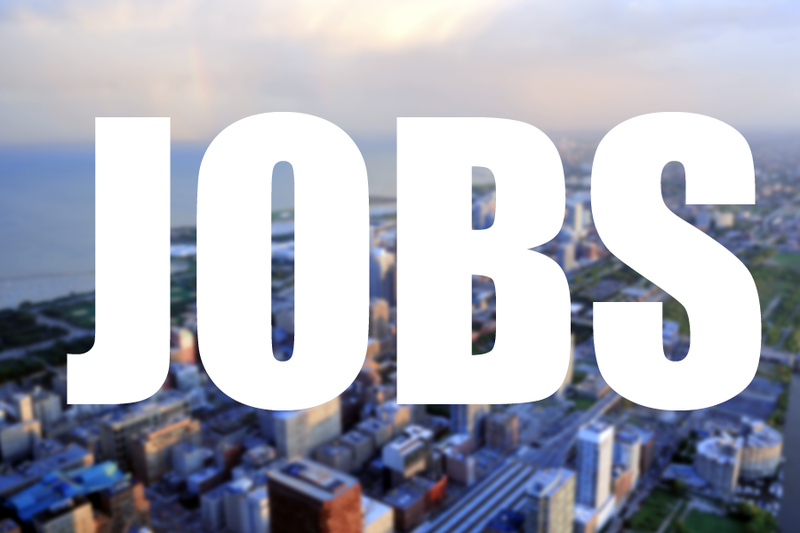 What’s one thing you’re proud of from the Illinois legislature in recent sessions? What’s the biggest problem the state faces and what is the solution? “Well I’m not sure what the solution is, but in my mind the state of our budget – that we can’t get a handle on doing things in a consistent way so that we can stay abreast of our revenues. 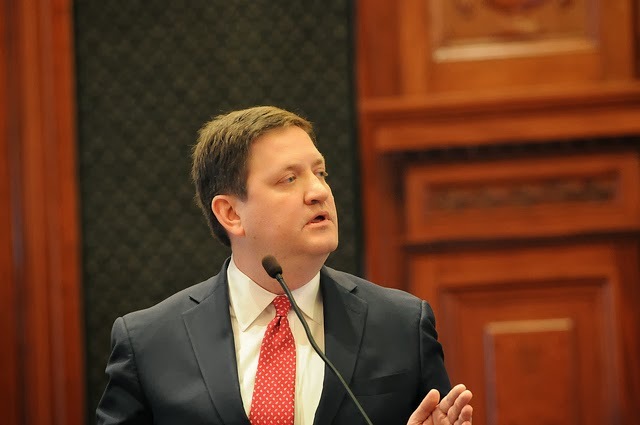 Sometimes we do well for a year or so but usually we go back to borrowing from the future to pay for what we want now.” Read more by Brady Cremeens on the Illinois News Network. 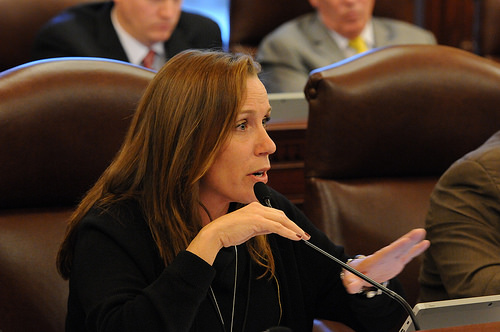 A legislative panel said Tuesday that it wants more time to decide whether rules written by the Department of Natural Resources to govern hydraulic fracturing in Illinois can take effect. The legislature's Joint Committee on Administrative Rules received proposed rules for high-volume oil and gas extraction from the DNR on Aug. 29, after the agency reworded some rules based on more than 30,000 comments on it original draft. But industry and environmental groups said they would ask JCAR to seek dozens of changes. The panel originally had 45 days --until mid-October -- to act on the rules, but exercised a 45-day extension, asking the DNR to ensure the rules comply with the intent of a law passed last year after intense negotiations that included industry and environmental groups. Read the AP story in the Daily Herald. 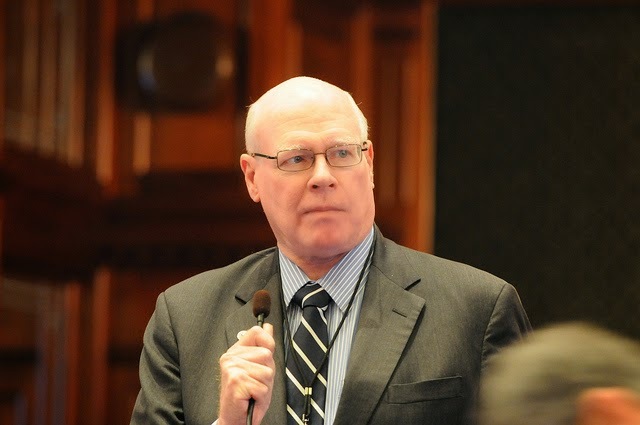 Today the Joint Committee on Administrative Rules (JCAR) unanimously agreed to delay implementation of the controversial rules on Hydraulic Fracturing in Illinois proposed by Governor Quinn’s administration. Instead they sent the rules back to The Illinois Department of Natural Resources (IDNR) for changes. 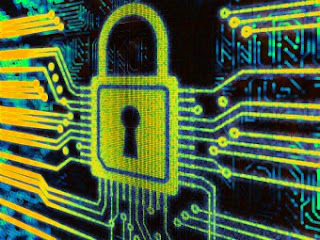 Some members felt the current proposed rules were in direct conflict with a carefully negotiated law signed into effect in 2013. JCAR is tasked with ensuring administrative rules comply with state statute. A new subpoena seeking records about Gov. 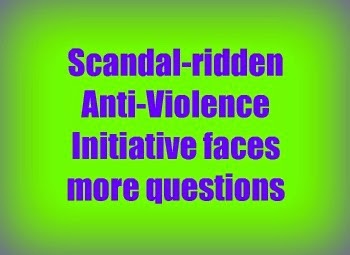 Pat Quinn's botched 2010 anti-violence program has been issued, this time from a federal grand jury based in Chicago. 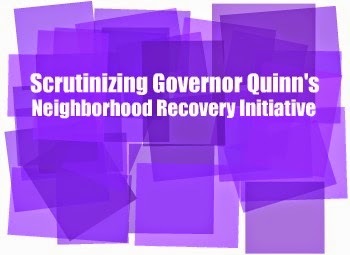 The request marks the first subpoena issued by Chicago-based federal authorities in the probe into Quinn's $54.5 million Neighborhood Recovery Initiative. Numerous prior subpoenas had come from federal authorities in Springfield. 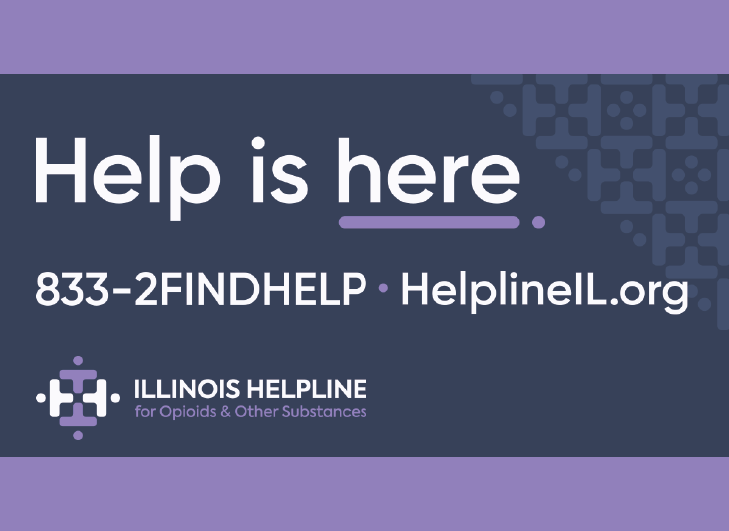 The federal grand jury in Springfield has subpoenaed emails from the governor's former chief of staff, Jack Lavin, and several others heavily involved in implementing the program. The administration did not respond immediately to requests for comment today. Ray Long and Monique Garcia have the story in the Chicago Tribune. Waist-high weeds and a crumbling old Chevy mark the entrance to a rust-colored factory complex on the edge of town here, seemingly another monument to the passing of the golden age of American industry. But deep inside the 14-acre site, the thwack-thwack-thwack sound of metal on metal tells a different story. The turnaround is part of a transformation spreading across the heartland of the nation, driven by a surge in domestic oil and gas production that is changing the economic calculus for old industries and downtrodden cities alike. Nelson D. Schwartz has the story in the New York Times. Fracking advocates call for new rules. Horizontal drilling into shale beds for Illinois oil and gas (fracking) was legalized by SB 1715 in spring 2013. Implementation of fracking was delayed for more than one year, however, because the Illinois Department of Natural Resources (IDNR), an arm of the Quinn administration, was writing administrative rules to implement the new law and enable engineering crews to apply for drilling permits. Illinois’ pension liability as a percentage of state revenue is far and away the nation’s highest, according to a new report from a major credit-rating agency. The state’s three-year average liability over revenue is 258 percent, Moody’s Investors Service says. The next closest? Connecticut, at about 200 percent. The Moody’s report averaged the Illinois percentage from 2010 through 2012. In 2012 alone, the state’s rate was 318 percent. 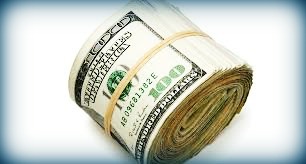 The state has a $100 billion deficit in the amount of money that should be invested in the portfolios of five state-employee pension accounts. Lawmakers adopted an overhaul plan last fall that cuts benefits and increases worker contributions to significantly cut that debt. But the law has been challenged in court. 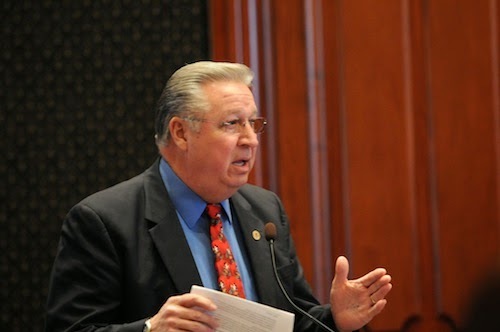 A Sangamon County judge indicated last week he wants the case moved swiftly to appellate courts, suggesting the Illinois Supreme Court’s rejection in July of a law affecting retiree health insurance could prove a model for the pension challenge. Read the AP story in the Chicago SunTimes. 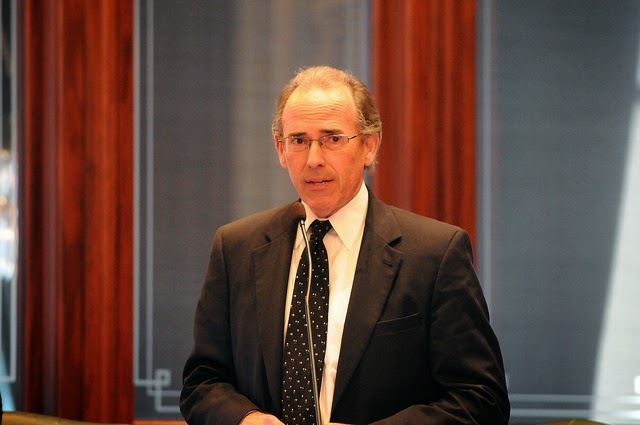 New Quinn fracking rules seen as stalling budding industry in Illinois. The General Assembly enacted legislation in 2013 to add Illinois to the list of U.S. states that utilize horizontal hydraulic “fracking” shale drill operations to increase production of crude oil and natural gas. This is the technology used successfully in North Dakota, Texas, and other states. With the help of fracking technology, U.S. crude oil production has increased to 8.4 million barrels per day and natural gas produced has increased to 328 billion cubic feet per day. The United States is now the world’s largest producer of natural gas and gas liquids. 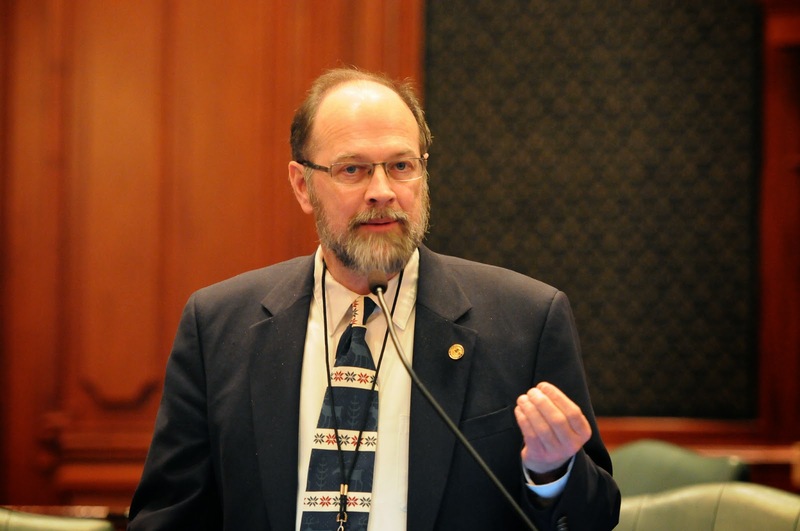 Complaining they were “misled,” Illinois House Republicans are asking Gov. Pat Quinn not to enforce a significant new business tax they helped create a few months ago. 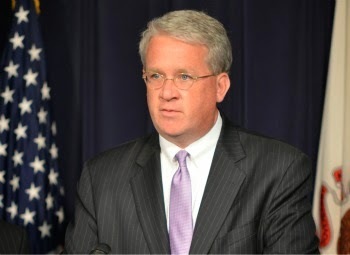 "There's anger,” House Minority Leader Jim Durkin, R-Western Springs, said in an interview. “People are upset.” he co-chaired earlier this year on business tax reform issues. “It's going to be very difficult to trust the administration in the future when they seek a technical change.” Read the entire story by Paul Merrion in Crain's Chicago Business. Gov. Pat Quinn’s administration Wednesday turned down a bid by a Downstate Republican to search state computer servers personally for any unreleased emails related to the governor’s Neighborhood Recovery Initiative anti-violence program. 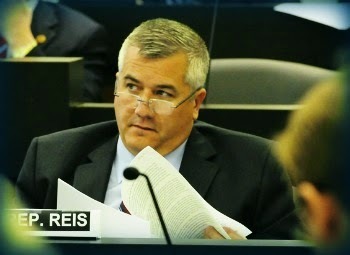 Rep. David Reis, R-Willow Hill, was not given access to state email systems by officials at the state Department of Central Management Services, who cited state and federal law and security concerns as the basis for their decision. Read more. It had been 437 days since the wait began for Illinois' rules governing the high-impact form of oil and gas drilling, also known as hydraulic fracturing. On Friday, they were finally dropped off at the state committee charged with their approval. 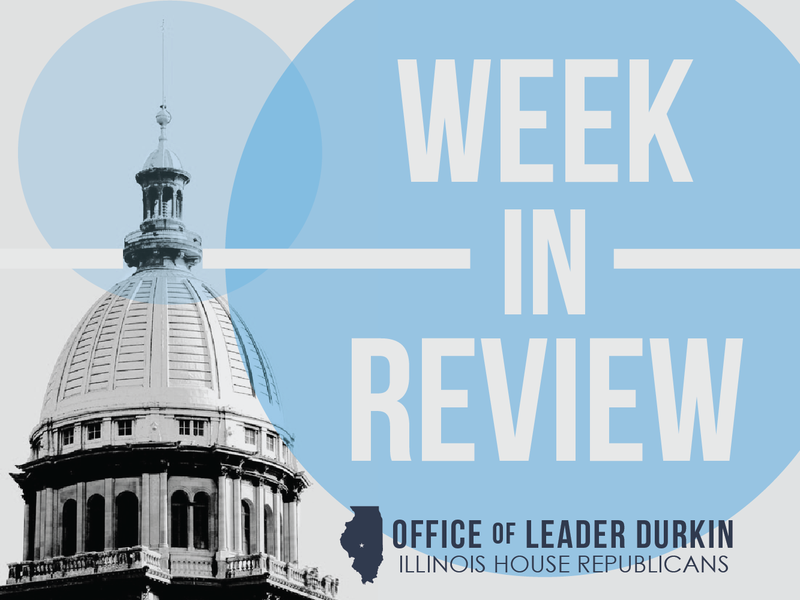 And then another clock began ticking: 77 days for the Illinois legislature's Joint Committee on Administrative Rules to approve the rules. If it fails to approve them, the process starts all over again. Strengthened public disclosure rules for water volumes and fracking chemicals. Public hearings for fracking permits take place in the county where the drilling would occur. Public information in cases of water pollution. 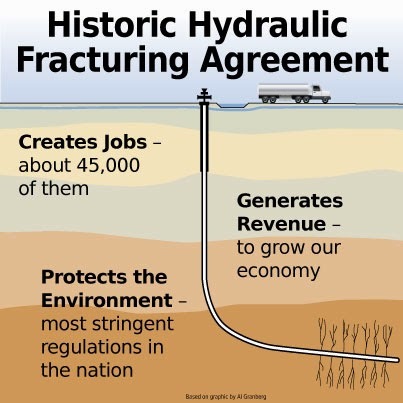 Expanded rules covering fracking that doesn't use water. A requirement that toxic flow-back materials are not stored in open pits for more than seven days. Julie Wernau has the rest of the story in the Chicago Tribune.